1. 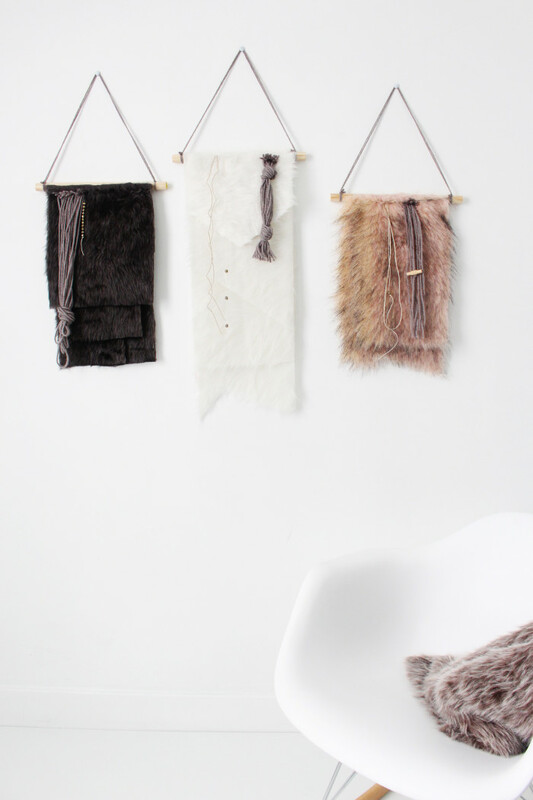 Cut several layers of fur about 9-10″ wide and layer them on top of each other. 2. 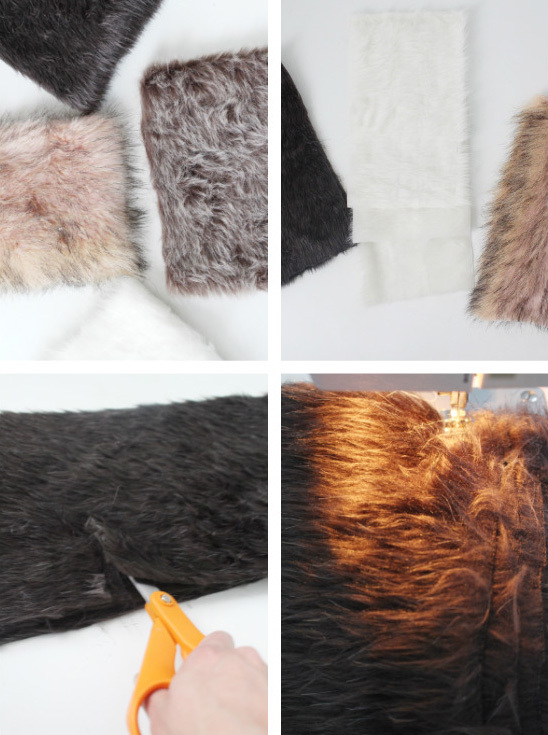 When cutting, hold the scissors at an angle so that the fur hangs over the cut edge, this will look nicer. 3. 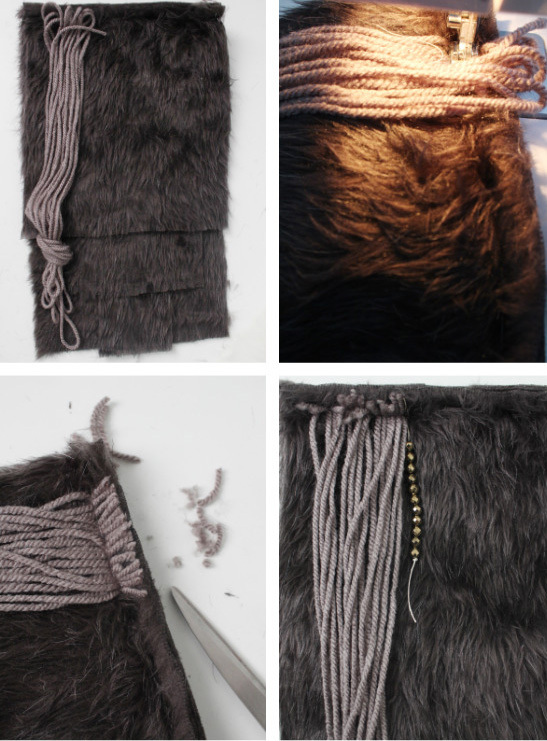 Sew across the top of your fur to hold all the layers together. Alternatively, use a glue gun to stick them together. 5. 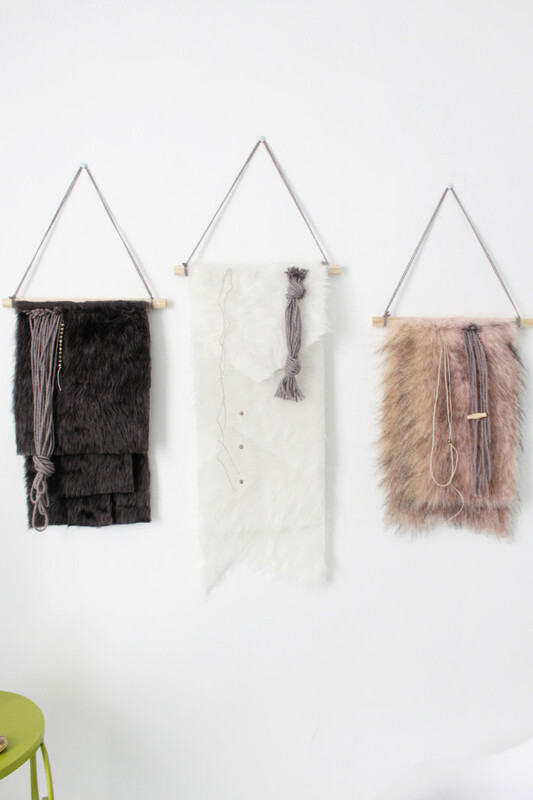 Cut your layers of fur into interesting and varying shapes and angles. 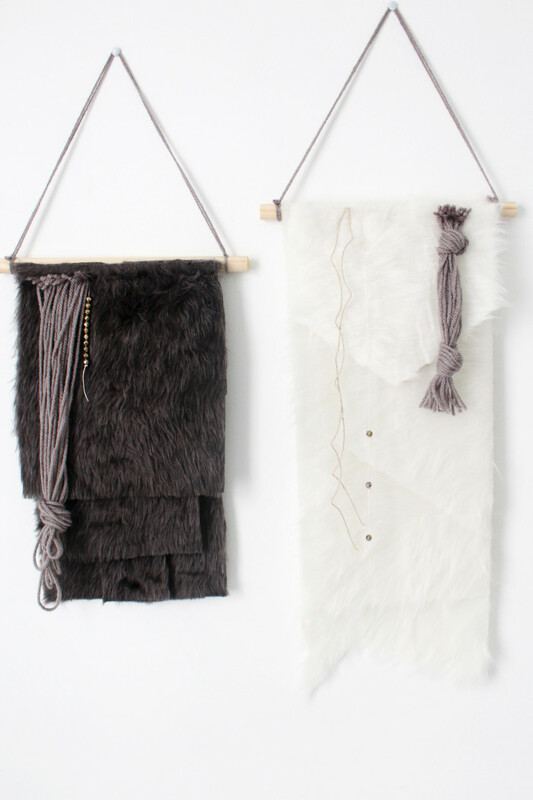 6.Cut long strands to make bunches of yarn t hang on the front of your hangings. 7. Tie knots in the bunches in varying locations. 11. Add beads (these amazing pyrite ones found here) to hemp cording, tying knots beneath them to secure and then sew these on to place as well. 12. 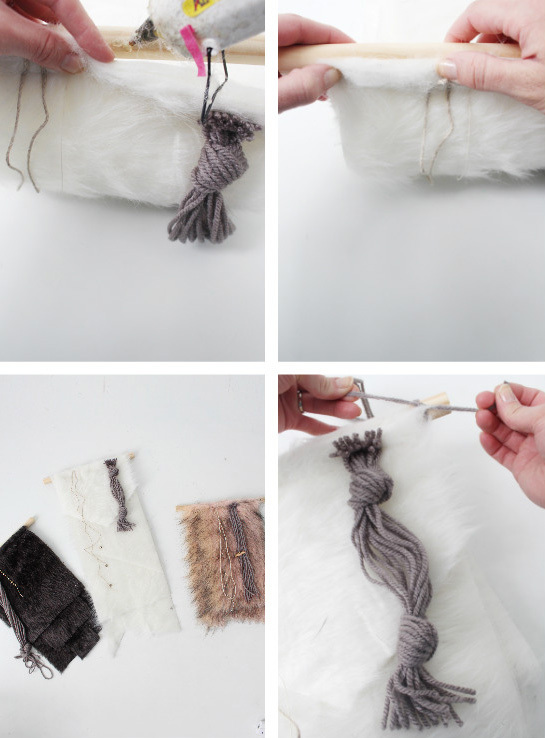 Use a hot glue gun to secure fur to dowel rods, right in the middle. 13. 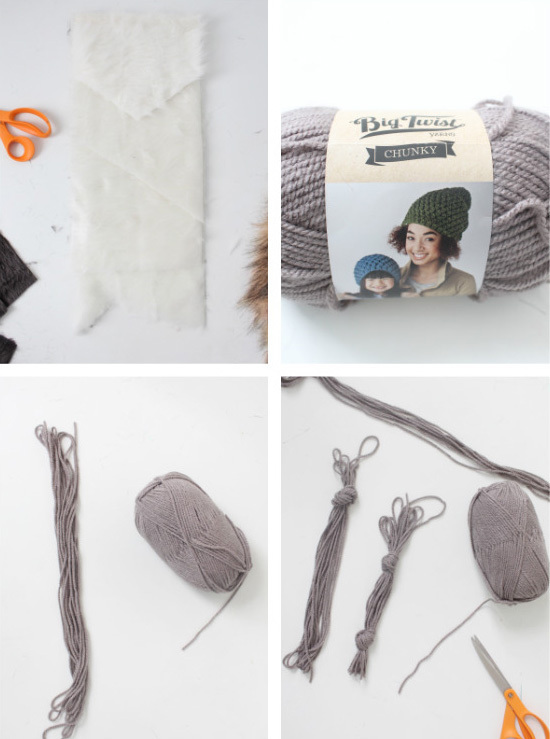 Tie long lengths of double yarn to the ends of the dowel rods on both sides for hanging. What a great idea! I love them even more than the yarn ones! Thank you so much Ama! !